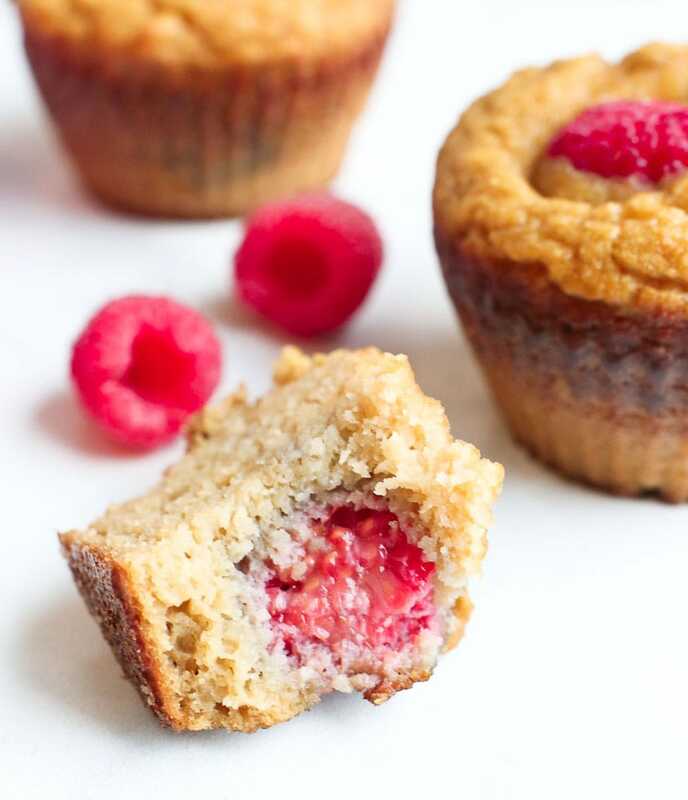 These Paleo Raspberry Coconut Muffins are grain-free and higher in protein than most muffins! Best of all–the whole family loves them. Heads up! 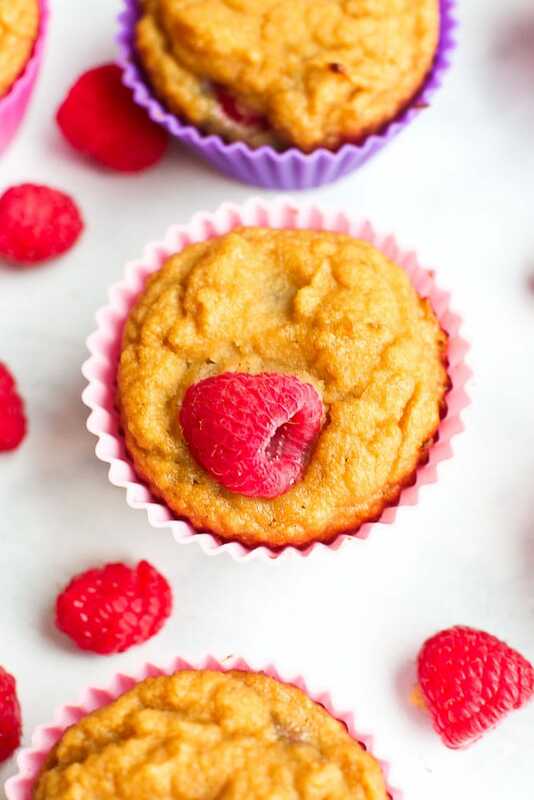 This recipe for Paleo Raspberry Coconut Muffins was originally published in 2012. Photos were updated January 2018. We love these healthy muffins–enjoy! Thank you all for your encouraging words on yesterday’s one month postpartum update. It was uplifting to read how many of you have had similar experiences as you transitioned from one to two children. Everyday seems to get a little easier. Meghan is much more demanding of my attention than usual, but I know this won’t last forever. One thing I have done to try to help is take advantage of when Luke is napping and find things that Meghan and I can do together. Letting her help me in the kitchen is a win-win because I get some much-needed snacks made while we are spending quality one-on-one time together. She’s had fun helping me make these muffins twice in the past week. Breastfeeding has given me a voracious appetite, so having healthy snacks on hand at all times is important. These muffins fit the bill perfectly. I’ve been enjoying them as snacks, while Tim and Meghan have been loving them as a sweet dessert after dinner. Who says muffins are strictly a breakfast food? Check out the lovely texture! These light muffins are grain-free, dairy-free, gluten-free and naturally delicious! Preheat the oven to 350 degrees. Line 8 cups of a muffin tin with paper liners and spray with non-stick cooking spray or use silicone muffin cups*; set aside. In a small bowl, whisk together the coconut flour, baking soda, and salt. Set aside. In a large bowl, whisk together the eggs, maple syrup, apple sauce, vanilla extract, and coconut oil. Add the dry ingredients to the wet and whisk well until the mixture is thick and without lumps. Pour 1/8 cup of the batter into each cup. Drop a few raspberries on top of the batter. Pour ~1/8 cup of the batter on top of the raspberries. Next, drop a few more raspberries on top of each muffin and sprinkle with a little of the shredded coconut, if using. Bake in the preheated oven for approximately 25 minutes, or until the muffins start to turn golden brown. Allow to cool in the pan for 5 minutes, and then transfer to a wire rack to cool completely. Enjoy! For a gluten-free, grain-free baked good, these muffins have an amazing texture. The flavor is lightly sweet with a subtle, not overpowering coconut flavor. The stats on these are impressive, too. 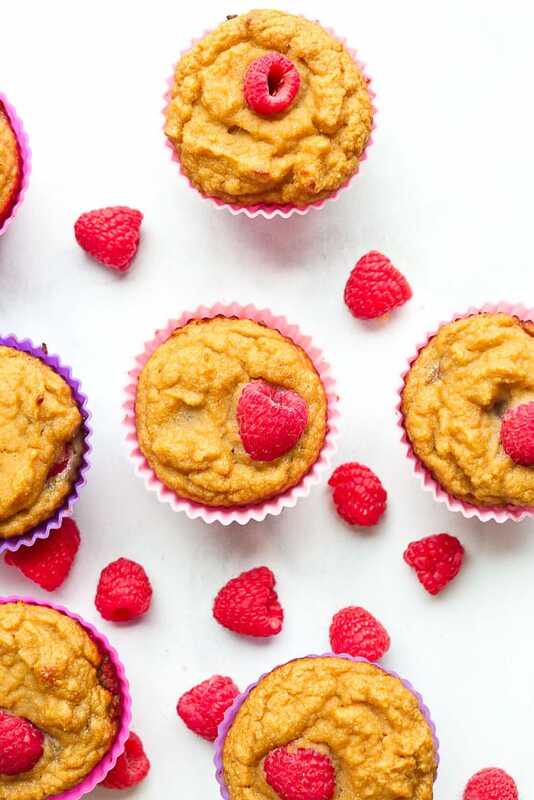 If you make these Paleo Raspberry Coconut Muffins, or any Happy Healthy Mama recipe, I would LOVE to see it! Please take a pic and share it on Instagram or the Happy Healthy Mama Facebook page and tag me @happyhealthymama ? Thanks for sharing it, Jenn! I think these sound amazing. I would have to double the recipe though! I’d want more than 8…haha. It’s great your trying to get in special one-on-one time with Meghan in. I’m sure she loves baking with her mama. Hooray for wheat-free baked goods! I am so making these. As soon as some of this snow melts and I can get to the store for eggs. We Washingtonians do not drive in the snow–life pretty much pauses when there is white stuff on the ground! I’m so happy that you’re settling into a routine of sorts. Luke’s a super cutie & I love the pics of him with Meghan. And…those muffins look fantastic! You are awesome! This is totally Paleo friendly 🙂 I’m going to be baking these this weekend!!! How perfect for a go-to snack for a mommy that needs the exta goodness. I have never used coconut flour but you can bet that I’ll be picking it up while I am going to the doctor- it sounds like it is perfect! Love love love coconut flour!!!! Muffins sound great…need some raspberries! 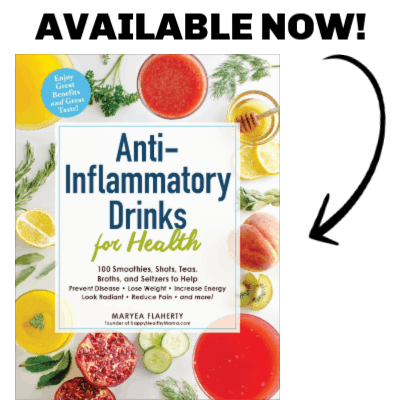 These sound so good and I’m so excited about this recipe! I’ve been trying to avoid grains as much as I can. I’m going to try and make these this weekend! I agree with you on the breastfeeding appetite. I am breastfeeding my second child right now and I can not eat enough! I try to eat healthy snacks but since they are lower in calories I have to eat soo much to get enough calories to feed two people! I am going to look for coconut flour when I go grocery shopping next! Isn’t it crazy?! I’m way hungrier now than when I was pregnant. I may be able to roast like a pro, but baking scares me even to this day! The muffins look delicious and even I might try to venture forth on this one. I accidentally bought a container of coconut flour (I was reaching for the coconut oil a little too quicklu! )so this is great since I now have to find ways to use it up! Oh, my gosh, I am such a sucker for coconut flour and these look AMAZING! P.S. I hate to bug you, but what kind of program do you use to post your recipes that gives you the “print” button? Thank you! Thank you, Kelly. It’s no problem–I use a wordpress plug-in for the print feature. I think it’s called “wordpress print this” or something along those lines. If you have a wordpress blog you should have no problem finding a plug-in for the print feature. these were delicious….made them last night for some friends (and should have doubled the recipe to keep some here). More to make! Thanks for letting me know, Jenna. Glad you liked them! I would love to try this recipe. However, I am having a hard time locating coconut flour. Here in Tucson, I have tried Safeway, Trader Joe’s and Sunflower market. Any suggestions would be great! Thanks. Hmmm…I have seen coconut flour at our local health food store (Health Foods, Unlimited) and our local grocery store, Dorothy Lane Market, which is basically a local version of Whole Foods. Do you have a Whole Foods nearby? I bet they have it. Sorry you’re having trouble finding it. Would you believe that I’ve got an unopened bag of coconut flour sitting in my pantry, just waiting to be used? I’m printing out this recipe, as, which is rare, I actually have every ingredient already on hand. Greatness! I miss the breastfeeding all you can eat appetite. And the bosom. I miss that a lot too. 🙂 That’s probably why I nursed my second for a few months longer than the first – I wanted to extend the bra-filling days. I mean, I wanted him to have all the goodness of breastmilk for as long as possible…. Oh my gosh, these are delicious. I just made a batch, but made mini muffins instead. baked for 20 minutes. Thank you! You’re welcome! I think I might make mini muffins next time–great idea. Excellent muffins! I also came across this recipe and tried it as well — they were also very good. Thought you might enjoy checking it out. Thanks, Mari Jo, I love a good muffin recipe! I just wanted to let you know that I made this and they were great! Everyone enjoyed them. Thank you! Thanks for letting me know! Glad everyone liked them. These look good, I’m going to try to make them, of course I’m missing some of the ingredients. I’ll do my best! Made these this morning… delicious! Thanks for the great recipe. You have a lovely site. These were delicious! We have a lot of allergies in our house so I needed to substitute the eggs (I did 3 flax eggs and 1 using baking powder oil and water) and the recipe turned out great!!! The kids loved them I just had to bake them am extra 4-5 minutes. Very happy that k you so much for this recipe! Wow! I’m so happy to hear these worked without eggs. Thanks for the feedback!